Let’s talk snacking. I’ve been “loosely” following the Keto way of eating for the past month and I would always find myself struggling with snacks. If you aren’t familiar with Keto, it’s a high fat no carb lifestyle that once you get on the wagon has great success. This is great for those who love things like bacon, cream cheese and well, just cheese in general. Not ideal for one who has a sweet tooth. I’m always looking for quick and yummy options for myself that I will eat and my husband will eat. I get the major eye rolls around here when a new diet rolls into town, but this one is working, so I’m going to roll with it for a while. The great thing is while you are eating these more power packed options, you get to eat food you like and not feel guilty because you won’t eat so much. 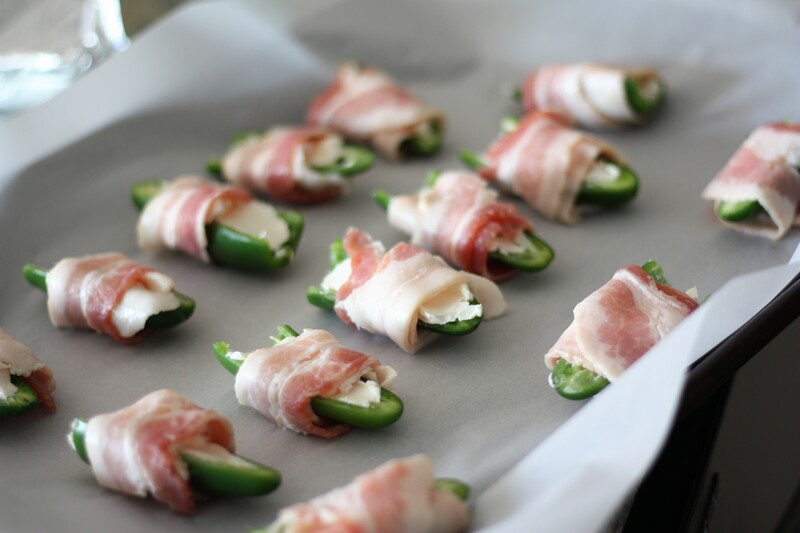 For dinner this weekend I decided to whip up these delicious jalapeno poppers as a side dish in lieu of another veggie side dish we would have. 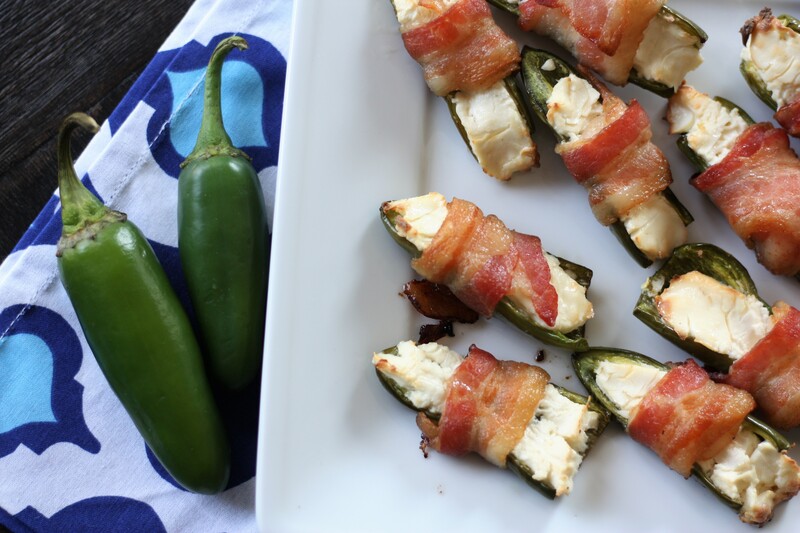 I’ve been making this particular jalapeno popper for quite a while now. As we start to roll into the middle of summer, our garden is going to be popping peppers out and we need something to do with them. 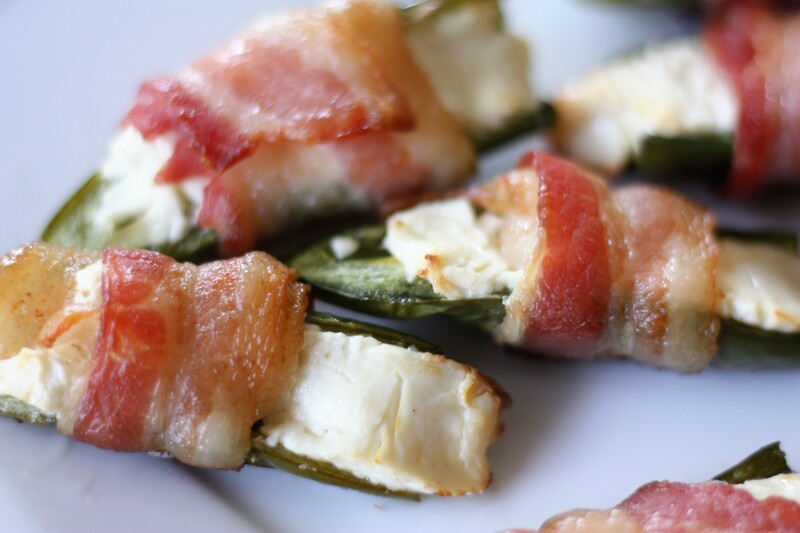 Luckily, with only 3 ingredients you can have a crowd pleasing appetizer or side dish in no time. Here is how I make them. 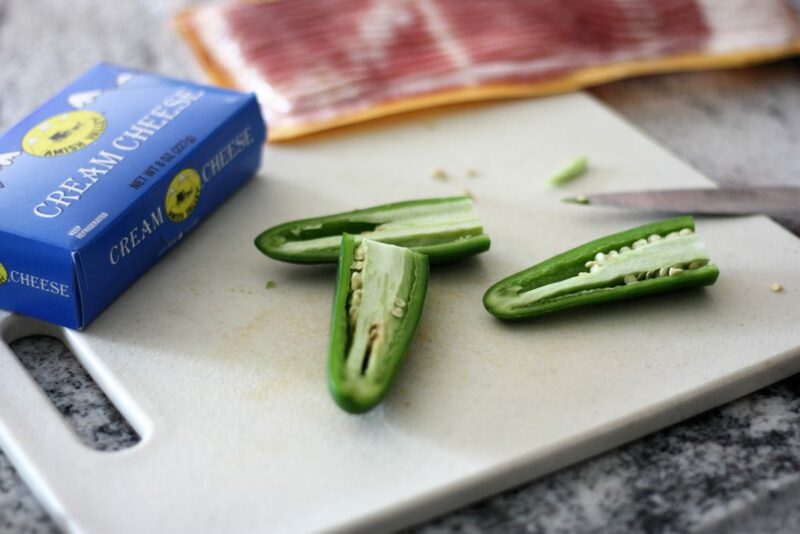 With offset spatula or knife fill pepper cavity with cream cheese. Bake 20-25 minutes until bacon is crispy. To save time on clean up, use parchment paper on your pan. 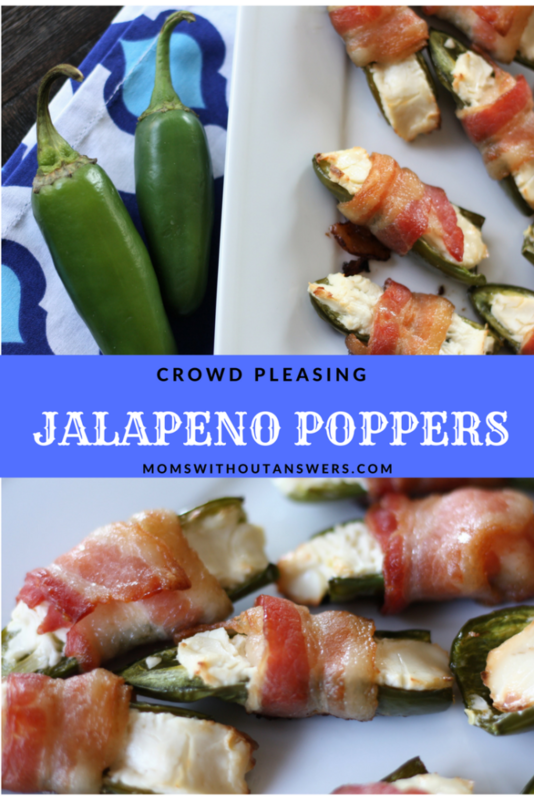 Now I’ve made so many variations of these poppers, here are a few ways I also love to jazz them up. The options are endless! Try these next time for your party, potluck or snack! How do your like your poppers?